Perry Hunter Williams, John Zalepeski and Marlee Christmas. 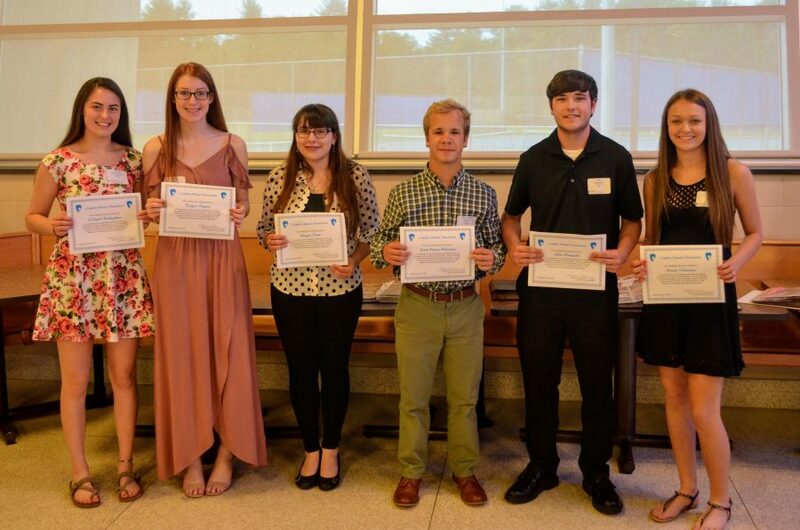 Nine members of the graduating Class of 2018 received scholarships of $1,000 each from the Camden Alumni Association at the Annual Meeting and Banquet, held June 9, 2018, at the Camden High School Cafeteria. Since the inception of the Camden Alumni Association Scholarship Program in 1965, 185 graduates have been awarded a total of $128,700 through 2018. Donations are always welcome to help support this program. The Camden Alumni Association congratulates this year’s winners!